This is shaped and etched and spaced before applying rivet fixing on central spindle. 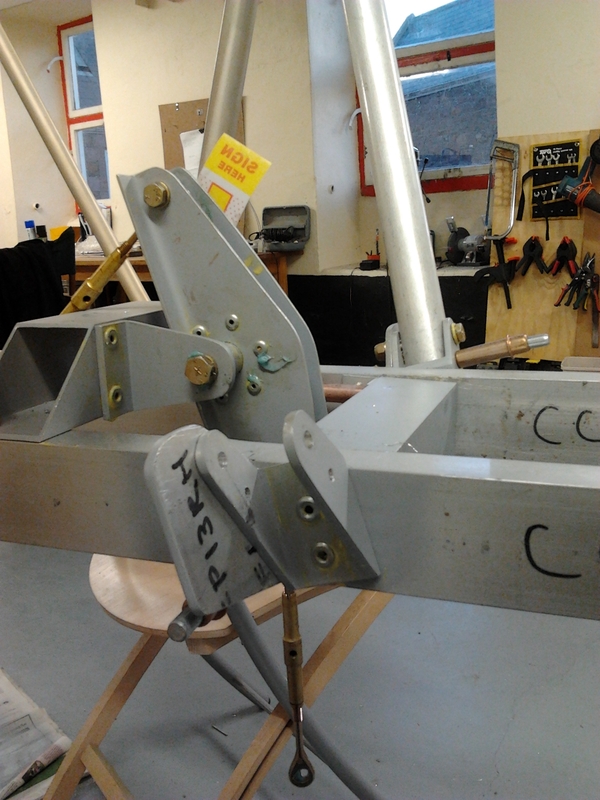 The intermediate horn sits between the seat rails and is positioned to pickup the ‘tail end’ of the elevator interconnecting rod (yet to be completed) that runs through the centre (internal) of the control torque tube. 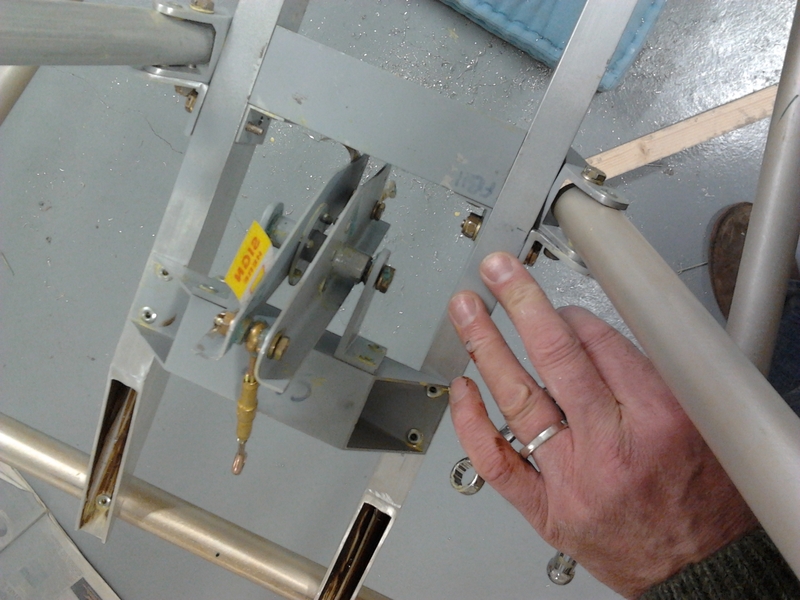 Throttle parts all prepared so fit and make sure friction parts in place and working.